Between 1969 and 1977, German music was thriving. In towns and cities, new groups were being formed. Many of these bands eschewed the Anglo-American, jazz-blues tradition, and decided to plough their own musical furrow. What followed, was a musical revolution…Krautrock. The Krautrock era lasted for eight years, and nowadays, is regarded as a golden age for German music. No wonder. From 1969 to 1977, German bands were releasing some of the most innovative, influential and important music in Europe. In the early days of Krautrock, groups like Amon Düül, Kluster, Kraftwerk, Tangerine Dream, and Can lead the way. They were pioneers who paved the way for groups like Amon Düül II, Ashra Tempel, Cluster, Neu!, Harmonia and Popol Vuh. These groups were just the tip of what was a musical iceberg. A whole host of other groups were releasing groundbreaking music. From Sunbirds, Ikarus and Kollektiv, to Embryo, Guru Guru, Jane and Lava. Each and every one of these groups were musical pioneers. Sadly, like all good things, the Krautrock era came to an end. Incredibly, many Krautrock groups didn’t enjoy the commercial success that their music deserved. Even groups like Harmonia struggled financially during the mid-seventies. The problem was, many German music lovers still preferred British and American music. Ironically, they were missing out on a musical revolution that by the early eighties, many critics and cultural commentators felt, would never be repeated. By then, Krautrock had influenced a new generation of European musicians. Across Europe, a new generation of musicians were about to form bands. Many of them had grownup listening to Krautrock. It was now regarded as some of the most innovative, influential and important music of the late-sixties and early-seventies. This music was revolutionary and would go on to influence several generations of musicians. This included two musicians in Frankfurt, Dierk Leitert and Mike Bohrmann. The pair were part of the post Krautrock underground scene. Its roots could be traced back to the end of the Krautrock era in the late seventies. By 1983, the post Krautrock underground scene was vibrant underground movement throughout Germany. 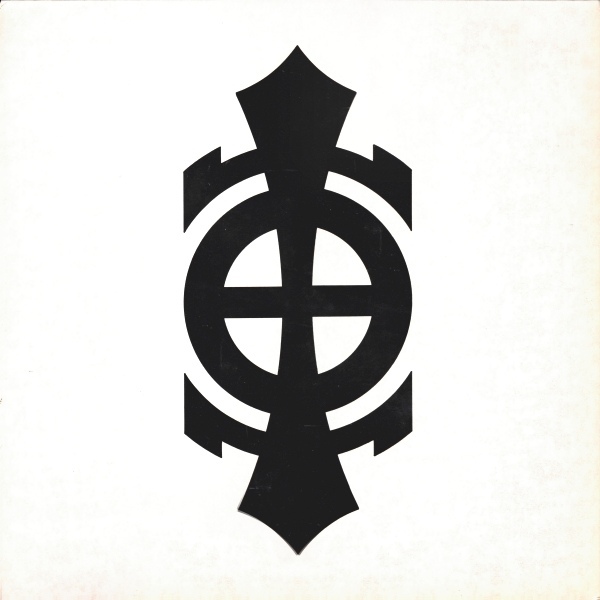 This included Frankfurt, where Dierk Leitert and Mike Bohrmann were making music as Circles, and in 1983, were about to release their eponymous debut album. Circles and the followup More Circles, have just reissued for the first time on the Mental Experience label, which is an imprint of Guerssen Records. These two albums take the listener back to an exciting time in German music. In many ways, the “post Krautrock underground” scene brought back memories of the Krautrock era just a decade earlier. It was an exciting time, with a sense that anything was possible. Once again, a new generation of new bands were making new and innovative music. Many of these bands were releasing their music independently. This had happened during the Krautrock era. Many bands had recorded albums, and then released them on small, independent labels. Other bands, even founded their own record label. Meanwhile, groups like Neu!, hired a recording studio to record an album. Only once they had recorded an album, they took it to a record company. This meant they were making music on their own terms. However, things had changed since then. Imbued by the D.I.Y. spirit of punk, now bands had the confidence and nous to record, release and distribute their own albums. No longer did groups view record companies as a vital cog in the musical machine. Instead, they were determined to do things their way. This included Circles. By 1983, music and the way music was made had changed drastically. It was very different to how Can, Cluster and Neu! made music just a decade earlier. No longer were synths, sequencers and drum machines prohibitively expensive. Now they were within the budget of musicians like Dierk Leitert and Mike Bohrmann. For aspiring musicians about to record their debut album, suddenly, there was a level playing field. So when Dierk Leitert and Mike Bohrmann began recording Circles’ eponymous debut album, they had access to technology that a decade earlier, would’ve been way beyond their budget. With a mixture of technology and traditional instruments Circles wanted to record an album that picked up where Cluster and Harmonia left off. For their eponymous debut album, the two members of Circles Dierk Leitert and Mike Bormann cowrote six tracks. Dierk Leitert wrote Chant, Tropflut and Intermezzo. These nine tracks would become Circles, which was recorded in Eppstein, Frankfurt. To do this, the two multi-instrumentalists deployed an impressive musical arsenal in a studio in the Frankfurt suburbs. Both musicians were versatile, and seamlessly, could switch between instruments. Dierk Leitert was a one man rhythm section, playing drums, bass and guitar. He also played saxophone, flute and vocals. However, Dierk Leitert was equally comfortable with technology had access to a wide selection of synths and sequencer. Mike Bohrmann was equally versatile, playing guitars, bass and synths. Along with a few musical friends, an arsenal of effects and an eight track Tascam recorder, the nine tracks that became Circles.’ eponymous debut album took shape. Once Circles was recorded, the album’s distinctive and memorable album cover was designed. This was the finishing touch to Circles, which was released on Dierk Leitert and Mike Bohrmann’s own label, Einhorn Music. Rather than trying to interest a record label in Circles, Dierk Leitert and Mike Bohrmann decided to form their own label, Einhorn Music. This was what a lot of groups within the post Krautrock underground scene were doing. It meant that Circles were recording and releasing music on their own terms. When Dierk Leitert and Mike Bohrmann were preparing to release Circles’ eponymous debut album, many of their contemporaries were aware of the post Krautrock underground scene. Just like Krautrock and the Berlin School, the post Krautrock underground scene was another of Germany’s best kept musical secrets. As Circles was released in 1983, still, many German record buyers seemed to prefer British and American music. History was about to repeat itself all over again. When Circles was released, it was well received by critics. They recognised that this was a groundbreaking band from one of the most talented groups in the post Krautrock underground scene. Despite the reviews, Circles didn’t sell well. Circles sold well within the post Krautrock underground scene. However, the album remained an underground album. It didn’t crossover into the mainstream. This meant that Circles were now rubbing shoulders with everyone from Amon Düül and Kluster, to Can, Cluster, Neu! and Harmonia. Each of these groups had watched as their debut album passed German record buyers by. They missed what was groundbreaking album of genre-melting music. Those that discovered a copy of Circles in the record store, and took a chance on the album wrapped in the mysterious album cover, were in for a veritable musical feast. Over nine genre-melting tracks lasting forty minutes, Circles set out to pick up where Cluster and Harmonia left off. What followed was a musical journey where musical genres and influences melt into one. Straight away, Circles roots be traced back to the Krautrock era. That’s apparent on the opening track Einblicke. It seems to reference Kluster and Amon Düül II. From there, Circles draw inspiration from numerous members of Kraftwerk royalty. Everyone from Can, Cluster, Harmonia and Neu! seem to have influenced Circles. The Neu! influence is apparent on Rockcola and 10º Unter Null, which feature Rother-esque guitar solos. On what’s a magical mystery tour, Circles take the listener on a journey through musical genres. Listeners will discover elements of ambient, avant-garde, electronica, free jazz, psychedelia and rock. There’s also hints of Eastern music as a series of captivating soundscapes share their secrets. Listen carefully, and Circles pay homage Fripp and Eno on Reibend. Circles’ contemporaries Throbbing Gristle have been another influence for the Frankfurt based pioneers. They’re determined to push musical boundaries to their limits, and sometimes, way beyond. This is apparent on Viele Wege. It’s starting point is a Faustian collage, before elements of rock, psychedelia, avant-garde and Krautrock are added. Soon, these musical ingredients are competing for your attention on Viele Wege. Hot on its heels comes Chant, a lysergic and mesmeric mixture of musical genres. From there, the journey continues with Circles as your musical tour guide. Before long, Circles is almost over. The brief, but futuristic, sci-fi sound of Intermezzo sounds like the Cosmic Jokers at their lysergic best. However, Circles have kept the best until last. Woistich-Umgedreht is a twelve minute epic. Hypnotic and dreamy, it’s a Magnus Opus, and the highlight of Circles. Once Circles is over, one can’t help but wonder why the album wasn’t a bigger success? It was a truly groundbreaking album, that picked up where the Krautrock pioneers left off. Their influence could be heard throughout Circles. It’s as if Circles are paying homage to Krautrock royalty, by taking their music as a starting point and adding elements of other musical genres. The result is an album that featured groundbreaking, innovative and influential music. Circles stood head and shoulders above the musical competition. Apart from a few discerning musical connoisseurs, it was mainly those within the post Krautrock underground scene that were aware of Circles. They realised that here was an album that deserved to be heard by a much wider audience. That wouldn’t happen until much later. By then Circles would’ve released their sophomore album More Circles. Just a year after the release of their eponymous debut album, Circles returned in 1984 with their sophomore album, More Circles. It featured ten new songs from Circles. They were penned by Dierk Leitert and Mike Bohrmann, and recorded in their studio in Eppstein, in the Frankfurt suburbs. Again, Circles had put their impressive of array of technology and traditional instruments to good use. Synths again played an important part when Circles were recording More Circles. Circles had an access to impressive selection of synths, and they helped sculpt the nine soundscapes on More Circles. Aided and abetted by melodic, Rother-esque guitars and drums bathed in echo and an arsenal of effects, More Circles began to take shape. Eventually, with a little help from their friends, Circles sophomore album More Circles was completed. For Dierk Leitert and Mike Bohrmann, they had been before. It was a case of deja vu, right down to mysterious, album cover. However, Circles were hoping that there would be a happier ending to the story when More Circles was released later in 1984. When critics heard More Circles, they were won over by what was another ambitious, adventurous and innovative album. Circles hadn’t stood still. Their music had evolved, and metamorphosed. They knew that any group who stood still, risked their music becoming irrelevant. That wasn’t going to happen to Circles. Despite continuing to create music that was ambitious and innovative, it failed to find an audience outwith the “post Krautrock underground” scene. For the members of Circles, this was a devastating blow. The only small crumb of comfort was that they had made music on their own terms, and music that they believed in. This music would stand the test of time, and eventually, found the audience it deserved. 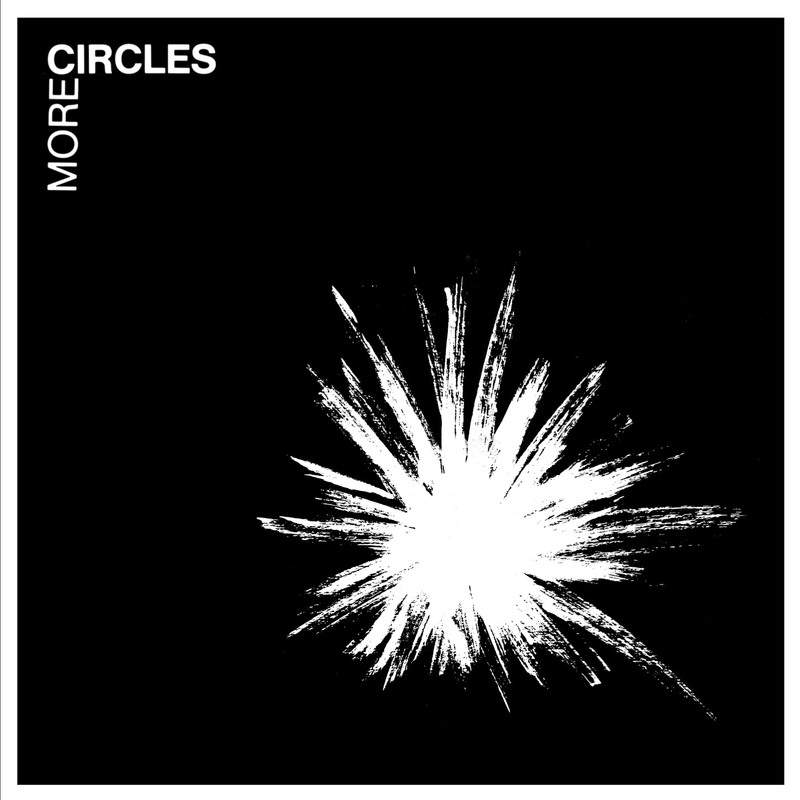 Back in 1984, those that bought a copy of More Circles had struck musical gold. Minimal Instant found a free jazz saxophone accompanying synths and a motorik beat. They may sound like unlikely bedfellows, but proved a potent combination. Sadly, all too briefly and Minimal Instant is over, and Several Steps Leading Through Different Rooms-Escapades begins to unfold. It’s a dark, moody, meandering epic lasting twelve minutes. Circles seem to enjoy the opportunity to stretch their legs, while referencing Cluster’s Zuckerzeit and washes of guitar that’s reminiscent of Robert Fripp. This leads to the cinematic Escapades, complete with fuzz guitars, as it heads in the direction of avant-garde. Then it’s all change. Tripletwin, which features drummer Gerde Poppe. His drums add a Faustian sound to the myriad of synths. Paris Cut is best described as a futuristic symphony, where nothing is as it seems. Circles’ array of effects are responsible for this. That’s is the case on Mental Dart, where a vocoded vocal has been added. It’s akin to Dadaist poetry that’s the perfect addition to an array of haunting, sci-fi sounds. By then, Circles it seems, at their most inventive and innovative. This continues on Trio Atonale, where everything from avant-garde, free jazz, electronica and experimental music. Briefly, there’s a hint of Pharaoh Sanders and his sheets of sound. Words like eerie, haunting and cinematic described parts of Tranquilo Gonzales. It finds Circles drawing inspiration from Cluster and Harmonia. That’s their starting point, on this pulsating, spine-tingling, cinematic track. The eerie cinematic sound continues on Sequences, which picks up where Paris Cut left off. Again, Cluster’s Zuckerzeit has obviously influenced Circles, who on More Circles seem to enjoy creating cinematic soundscapes. They provide the soundtrack, while the listener is left to come up with the script. Whether the listener dares to come up with a script to Consequences is another thing? Is that the sound of digging? What about the futuristic sounds? Do they come courtesy of bubbling synths; or is it something more sinister? By the end of track this space age soundscape, one can’t help but think of murderous aliens beating a hasty retreat to the planet Zogg. Having conjured up that image, Circles close More Circles with Spiral Dance. With its motorik beat, it’s a reminder of Krautrock, the music that inspired and influenced Circles to embark on a career as music. For that we should be grateful. After releasing More Circles, Circles only released one further album, The 3rd Cycle. However, that wasn’t the end of the partnership between Dierk Leitert and Mike Bohrmann. They had to much too offer musically; and continued to release albums as D.O.C. and Leitert and Bohrmann. Even today, Dierk Leitert and Mike Bohrmann are still collaborating, and releasing music together as Circles. It’s a partnership that’s lasted over thirty years. The albums that started the Circles’ story off were Circles and More Circles, which have been reissued for the first time on the Mental Experience label, which is an imprint of Guerssen Records. These two are classics of the post Krautrock underground era. Both Circles and More Circles feature groundbreaking, genre-melting music. Circles combine everything from ambient and avant-garde to electronica, experimental and free jazz to Krautrock, psychedelia and rock. There’s even hints of Eastern music as Circles take the listener on a musical adventure. During that adventure, Circles draw inspiration from, and pay homage to Krautrock royalty. This includes everyone from Amon Düül II, Can, Cluster, Kluster, Neu! and Harmonia. Other influences include Michael Rother, Irmin Schmidt and Holger Czukay. They all seem to inspire Circles. So do do Fripp and Eno and Throbbing Gristle. The result are two genre classics that sadly, when they released, failed to find the audience they deserved. For Circles, it was a case of everything comes to he who waits. Belatedly, a new generation of record buyers discovered Circles and More Circles. Suddenly, the two albums recorded in the Frankfurt suburbs now had a cult following. Copies of the albums became collector’s items, and were prized amongst collectors. So it’s no surprise that Mental Experience have reissued Circles and More Circles. Both Circles and More Circles feature music groundbreaking music from two musical pioneers, Circles. This was the start of a lifetime making music together. Circles started as they meant to go on, creating music that was ambitious, innovative, inventive and went on to influence further generation of musicians. Circles and More Circles also show that there was life after Krautrock. While the Kruatrock era was a golden age for German music, music continued to evolve over the next four decades. Circles played a part in the reinvention of German music in the post Krautrock era. Their first two albums Circles and More Circles were timeless genre classics, where Circles show that there was definitely life after Krautrock.